Thats right folks - its back! Volvos at Ikea 2009! With over 74 vehicles signed up last year and nearly that many in attendance, lets try to push the 100 mark! This is in Suburban Philadelphia and is easily accessible from many highways. If you are in the Mid-Atlantic/Northeast this is an easy day trip! Due to ample parking facilities inside and out this event is RAIN OR SHINE! As before, you're welcome to bring your own food/non-alcoholic drinks (Jim- Grill still up in the air, but I will let you know), but reasonably priced food & drinks will also be available in Ikea's restaurant. We'll also have access to Ikea's restroom facilities. 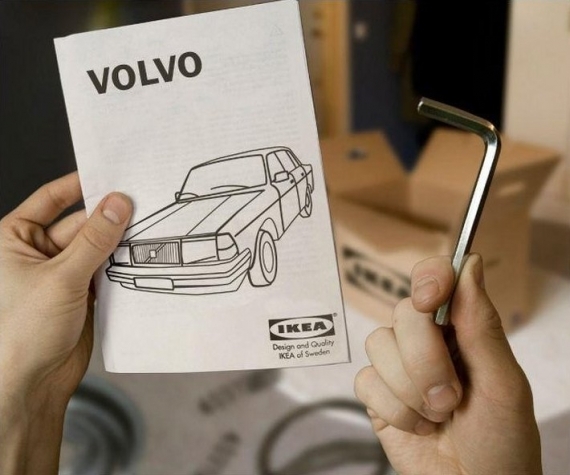 So, let's savor some Swedish meatballs and end the Summer with some Swedish automotive pride. - No burnouts, drifting, excessive speed while on Ikea's property. - No loud music/subwoofer demos(especially in the parking garage). - Selling anything on Ikea's property is prohibited. They were thrilled that we were coming back this year, so lets keep it that way! Much thanks to 95 T5R for cross posting this at Turbobricks and Volvospeed and to SL8Brick for organizing the original event! Last year was a great chance for Volvo owners of all ages, from all boards, and with all types of Volvos to get together, connect, and cross the usual dividing lines. Thanks to everyone and lets make this year's event even better than the last! If you live in or near the Northeast...don't miss this one, folks! 50+ Volvos, 4hrs of Volvo camaraderie, and Ikea's amenities ta' boot...this is the show to attend. Just a brief update...the official sign-up list has topped 80 cars...`nuff said? We just hit 89! I can feel 100! 88. (Brickboard) Non registered friend with '93 244DL. Quick Reply: Volvos at Ikea - 2009!